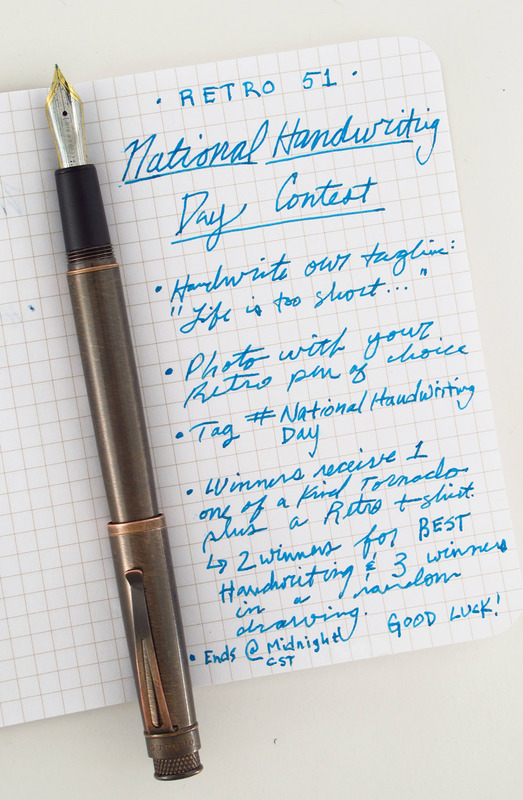 Today is National Handwriting Day, so in its honor we decided to have a contest! Read the rules below for your chance to win a one-of-a-kind Tornado plus a Retro t-shirt. 1. Hand write our tagline “Life is too short to carry an Ugly Pen!” (Must be your handwriting). 2. 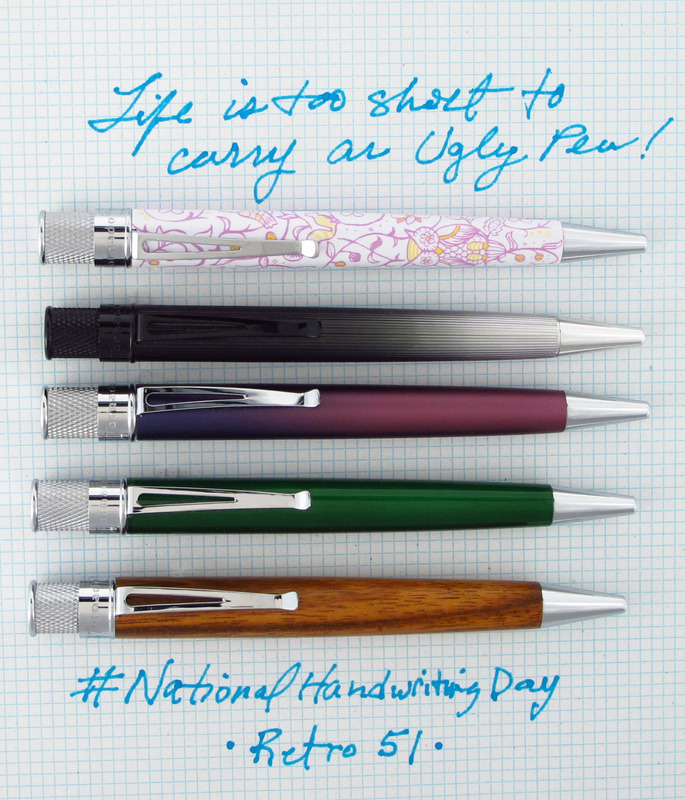 Photo your handwriting with your Retro pen of choice. 5. One entry per person. Contest ends midnight CST on Sunday, January 25th. We will announce the winners on Monday 2 pm CST. Please check back here and our social sites to see if you won. Five unique one of a kind Tornadoes! These are samples we have produced by the factory but have never put in our line (with exception of the wooden Goncalo shown). You will also win a Retro t-shirt. Fifth – Goncalo wooden Tornado. This is not a one of a kind but was a customer favorite. Hey will i be emailed if I win? Yes, since you have your email via your comment. And will I just leave the name of the pen I want here? Thanks for commenting Sandy, I will pass this onto the product development team. “It’s bad luck to own only three glow-in-the-dark pens” -that’s hilarious! oh boy…I didn’t realize that my emailed comment would post here… would you mind removing the contact information in my signature? Ok, I edited. Did you see you won? *GASP* That owl pen! I would ABSOLUTELY pay money for that owl pen! Especially since my Tornado fountain pen is one of my top three pens in the world, so your products are clearly amazing. PLEASE release that owl pen! I’ve never owned a glow-in-the-dark pen before. OMG. I want the black fade to silver line cut barrel. 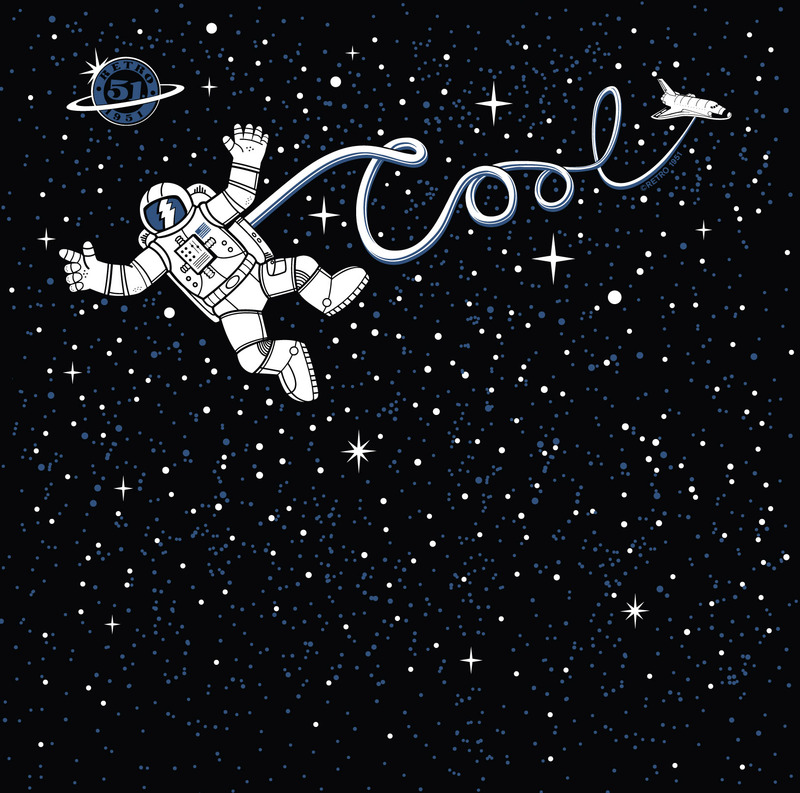 It’s awesome. Any news if this will be offered soon? Please. Like, pretty please?